Twitter has introduced new capabilities to its recently launched Tailored Audiences programme for ad re-targeting with email addresses and user IDs. Revenue Product Manager Kelton Lynn described the additions as new ways to create Tailored Audiences, either using a customer relationship management database or lists of Twitter usernames or user IDs. The user ID is a unique way that identifies your account. According to Tech crunch, Lynn said advertisers will be able to exclude certain audiences from their advertising in the same way. The new features could be particularly useful for targeting existing sales leads or customers, or for targeting people who are influential in a specific category. On the privacy front, the users can opt out of the program in their settings, and it says there's a 'minimum audience size' to avoid 'overly specific targeting,' the report added. Earlier, Twitter announced that it is rolling out its refreshed website in order to match the mobile apps design. The microblogging site posted a picture of the new look of the website with the message, "We're now rolling out a refreshed http://twitter.com reflecting the look & feel of our iOS & Android apps". The social networking site which enables its users to post 140-character messages online posted on its official account @twitter, explaining how to personalise one's profile going into the settings. The tweet from its official account says, "At refreshed http://twitter.com, personalize your profile w/ accent color: http://twitter.com/settings >web design. pic.twitter.com/y7r1a6jqxl." 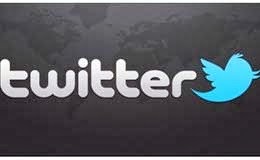 Claiming to have 230+ million monthly active users, the microblogging site says 500 million tweets are sent per day.